What do, former Hall-of-Fame the Dallas Cowboys quarterback Roger Staubach Jack Nicklaus and 1930s doctor W.P. Stewart have in common? 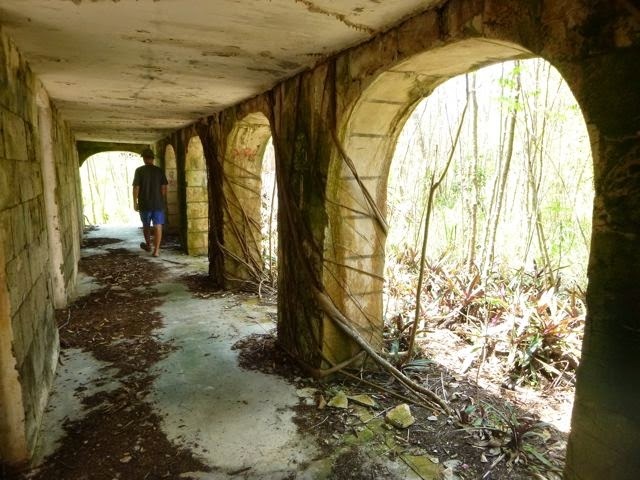 Great vision followed by luxury in ruins on lovely Royal Island, Bahamas. Where in the world is Royal Island? Semi-remote and certainly private, it’s four miles off of North Eleuthera, and 37 miles northeast of Nassau. For those not lucky enough to sail there like us, getting there typically entails taking a commercial flight airport from Miami, Fort Lauderdale or Nassau to North Eleuthera, followed by a 15-minute boat ride. A five mile long, 430 acre private island, Royal Island features 15 miles of coastline – a perfect getaway. 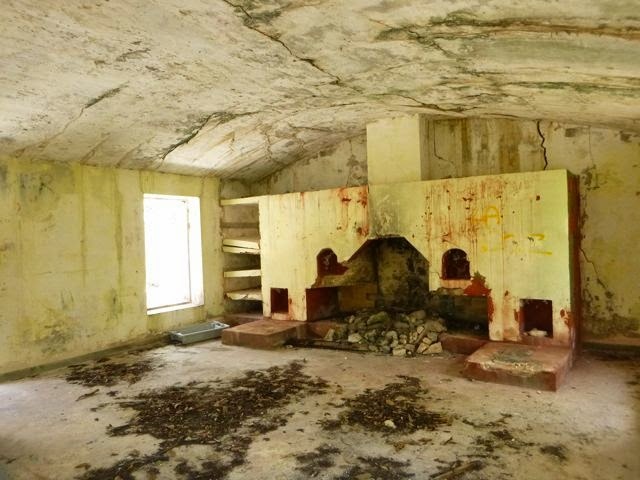 Thus, back in the 1930s, wealthy island owner doc W. P. Stewart built a fabulous private estate as a fishing retreat -- an excuse to get away from his wife, and drink with his fishing buddies, according to “bahamas4u.” The site’s long since fallen into glorious ruin. We did indeed check out the bar, as well as the rest of the grounds, and wholeheartedly agree with Krazy Lady’s assessment. would be worth cleaning up for a cruiser party. 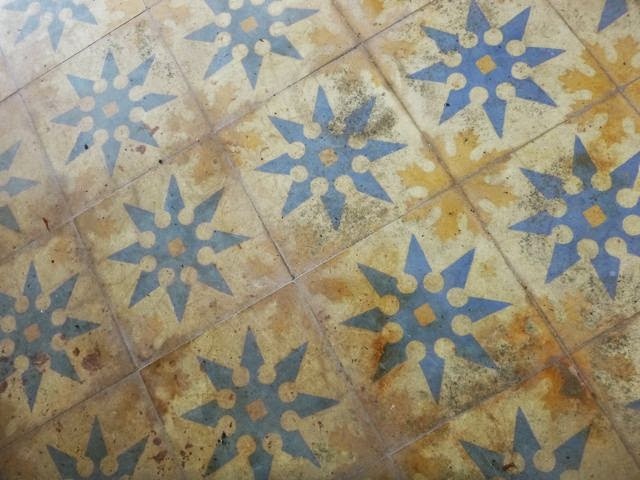 Apparently we saw the “cleaned up” version of the estate. 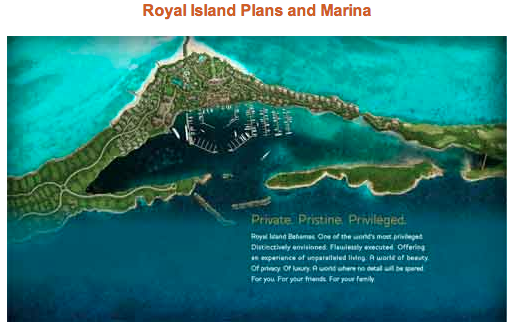 Developer Cypress Equities, which Roger Staubach and Jack Nicklaus also invested in, cleaned up the site, to support their new and more wide sweeping Royal Island Montage Hotel and Resorts vision…. The plans included an ultra-luxury resort, and private club residential community with private residences and homesites, a golf club with a Nicklaus-approved golf course, a 200-slip marina and a boutique hotel, spa and three beach clubs. Despite a promising start, with 22 properties sold for $150 million, in 2008 the plans were scuttled. We did find signs of attempts to rebound or at least recoup some island investment; lots for sale with waterfront decks with chairs overlooking a genuinely spectacular ocean view. 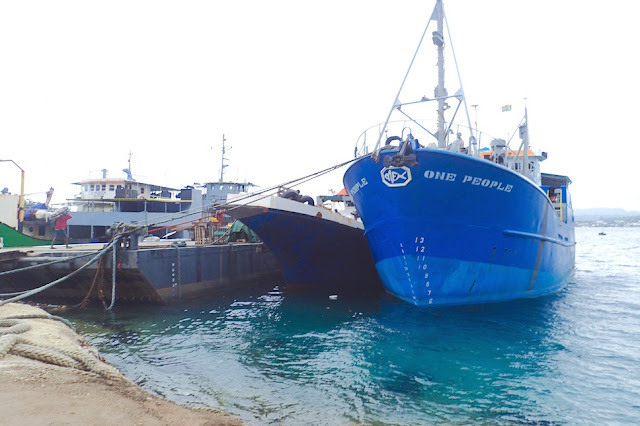 Indeed, a 2013 article claims development efforts are being “rebooted” on Royal Island (click here for article). 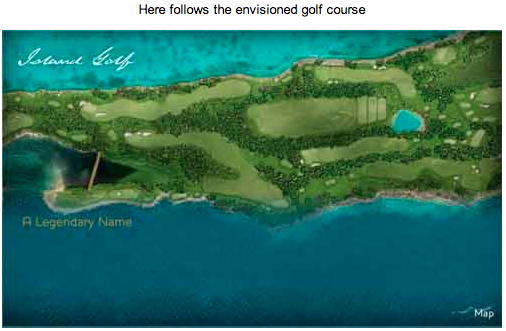 Jack Nicklaus Royal Island golf club plans from bahamas4u. 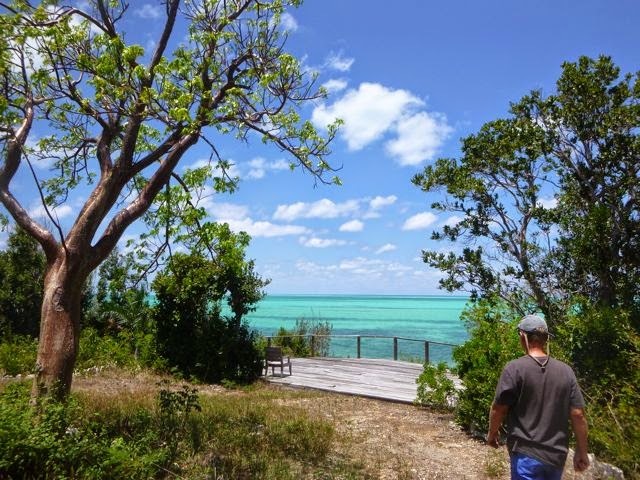 For us, Royal Island simply provided a pleasant place to anchor for free in a safe harbor, an interesting spot to explore while we waited for the right weather window to make the 50+ mile sail up to the Abacos. We were not alone; there were 18 boats in the relatively small anchorage and the only one that didn’t leave the day we did was grounded. Wayne wanders down to the Royal Island oceanside deck on this for Sale lot. From there, stone-carved steps dropped down to this beachless ocean property. Of course, if your taste and pocketbook runs to a more pampered experience, for as little as $48,000 you and six guests can enjoy one of the five nice little 1500 square foot “king beachfront villas” on Royal Island’s sweet little Melanie Beach for its minimum 4 night stay. Alas, I believe the $48,000* does not cover their unpacking services, for those too tired to be bothered with those niggling details. May 15, 2014 BAHAMAS. 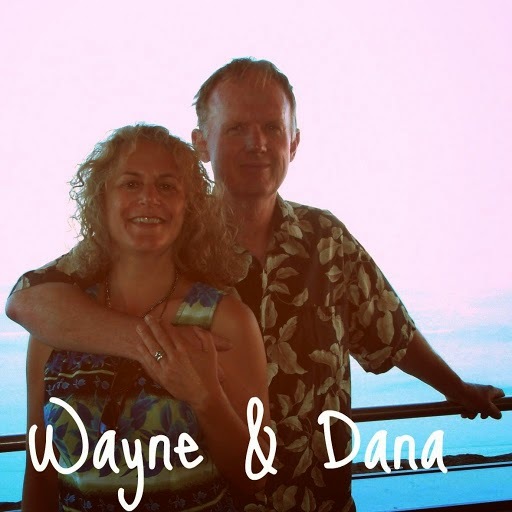 This is a recent retrospective of our stopover May 5 on Royal Island (N25. 30.807 W76.50.884), Eleuthera, BAHAMAS. 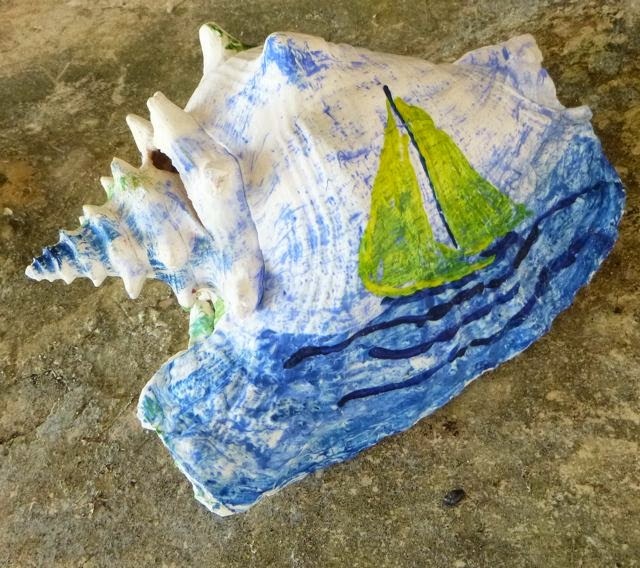 We are currently anchored in Black Sound, Green Turtle Cay, Abacos, BAHAMAS (N26.45.592 W77.19.458). We’re awaiting a calm day to temporarily hand-stitch our mainsail, which tore on an otherwise benign crossing through Whale Cut Passage. We plan to enjoy the Abacos until the next logical weather window arrives to cross the Gulf Stream back to Florida; which currently looks most likely in a week.